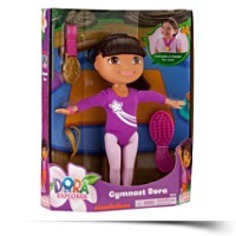 Wearing her vibrant leotard, Gymnast Dora stands ready to take the floor with many poses, offering creative and interactive play for your little one. Matching medal makes your child feel like a winner. 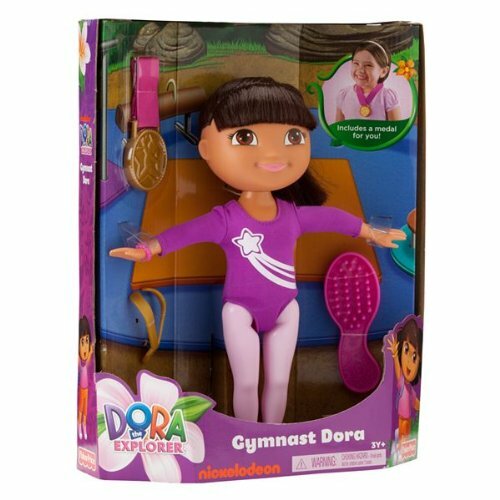 Brush enables you to style Dora's soft hair. Doll does not use batteries or do gymnastics routines. Package Dim. : Height: 4" Length: 13.1" Depth: 10.5"